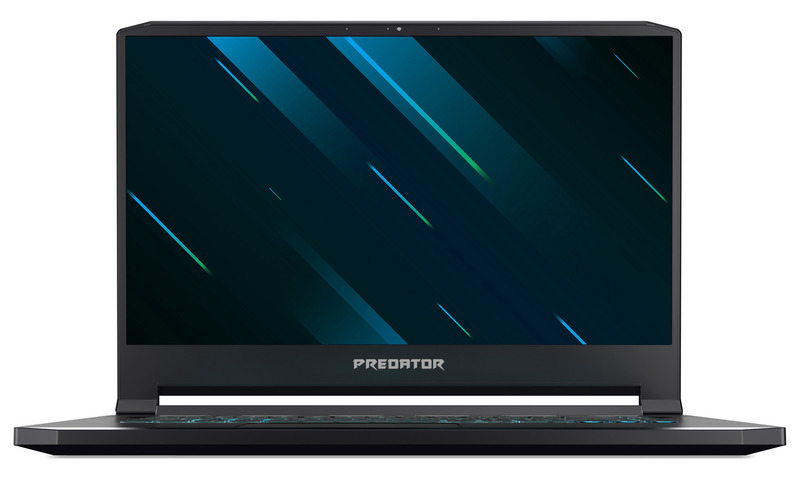 Today at CES, Acer has launched two new gaming laptops under their Predator branding with the Predator Triton 900, and Predator Triton 500. Both feature the just announced NVIDIA GeForce RTX GPUs, but the Predator Triton 900 also brings some very unique features for a gaming laptop. Let’s take a look at the Predator Triton 900 first, since it’s such a unique idea in the gaming laptop space. This 17-inch notebook features the same Ezel hinge system we first saw way back with the Acer Aspire R13, but seeing this type of convertible design in a gaming laptop brings some unique advantages not really seen in the Ultrabook form factor. The first advantage would be if the Triton 900 was to be used as a desktop replacement device. 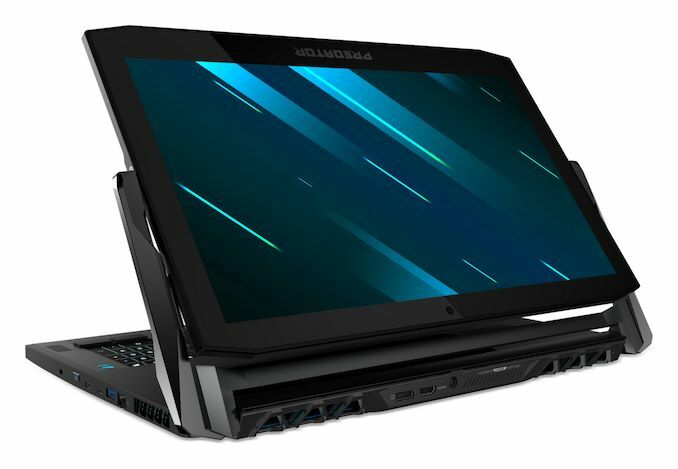 The screen could be rotated around to be used with an external keyboard and mouse, but allowing the user to still utilize the 17.3-inch 3840x2160 G-SYNC display. It would also be a powerful platform for any sort of touch gaming, or an insanely powerful tablet replacement. I think it’s a pretty smart way to increase the usability of a large form factor gaming laptop. The Predator Triton 900 is well-outfitted too. It features the hex-core Intel Core i7-8750H processor, with six cores, twelve threads, and a frequency of 2.2 to 4.1 GHz in a 45-Watt envelope. Acer couples this with the just announced laptop form-factor NVIDIA GeForce RTX 2080, with 8 GB of GDDR6. System memory is up to 32 GB of DDR3. Storage is 2 x 512 GB SSDs in RAID 0, which is of course silly but seems to still be a thing in the gaming market. Interestingly, despite the high-performance components inside, the Predator Triton 900 is just a hair under 1-inch thick, at 0.94-inches. Other gaming features include a built-in Xbox wireless receiver, allowing the laptop to connect to Xbox controllers over the faster Wi-Fi Direct, rather than Bluetooth. 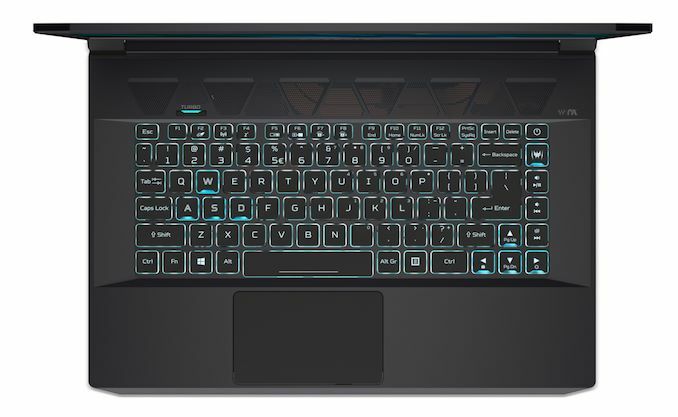 We’ve seen other fast gaming laptops with the keyboard forward idea before, but the convertible design of this Acer laptop is very interesting indeed. Availability will be March for $3999. Although the bigger 900 series is likely going to get more press, the 15.6-inch Predator Triton 500 is no slouch either. 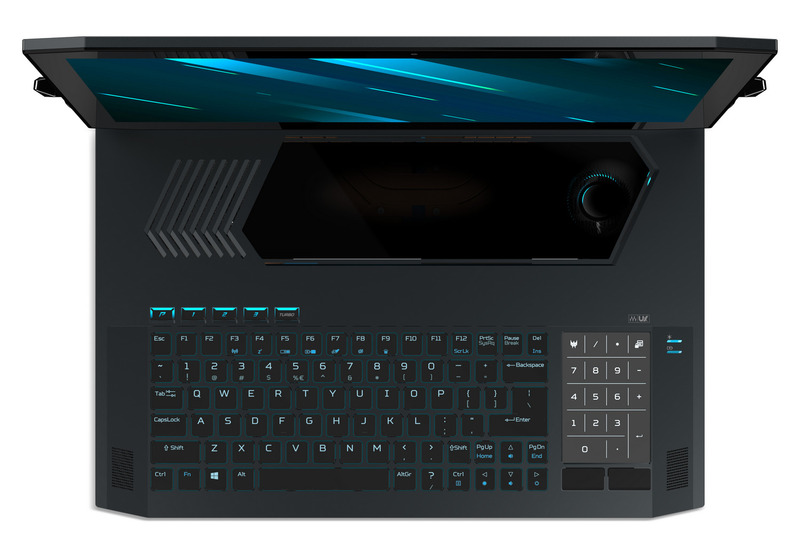 Although it’s a more traditional design, it features the same CPU in the Intel Core i7-8750H, and can be had with either the GeForce RTX 2060, or the RTX 2080 Max-Q. Both GPUs support overclocking as well. The display choices are all 1920x1080 IPS panels, but the 15.6-inch panels support 144 Hz refresh rates, and the models with the RTX 2080 Max-Q also feature G-SYNC. Although it can’t match the thin-bezel design of the latest Ultrabooks, the Triton 500 does offer 81% screen-to-body, which slims down the dimensions nicely. As with the higher tier Triton 900, the Triton 500 also offers up to 32 GB of DDR4, and up to 1 TB of PCIe SSDs in a 2 x 512 GB RAID 0 configuration. 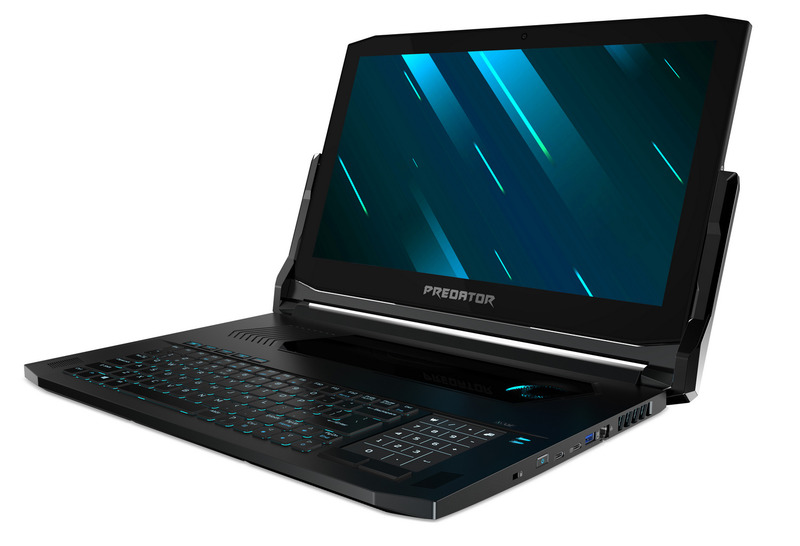 Interestingly, Acer is claiming up to 8 hours of battery life from the Triton 500, which would be a big jump over most gaming laptops, although of course that will not be 8 hours of gaming. Both of these models look like nice updates in the Predator lineup. The Predator Triton 500 will be available in February starting at $1799. Triton 900: The lower right key layout is odd, that ruins it. I hope the '/' and 'shift' keys can be moved to their normal locations.